Porcelain or porcelain bonded to metal to give full coverage to teeth weakened by old fillings, decay or breakages. Also used for cosmetic improvement of teeth with unaesthetic appearance. This is used to replace gaps caused by lost teeth, using a porcelain or porcelain bonded to metal structure. This is supported by the teeth adjacent to the gap. These adjacent teeth usually require preparation (drilling). 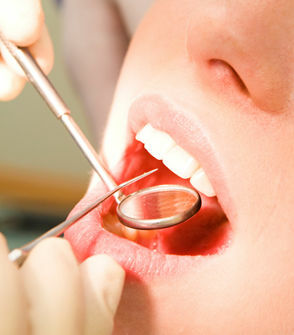 Alternative treatment for a fixed restoration to replace a lost tooth is a dental implant. This does not require any drilling on adjacent teeth.